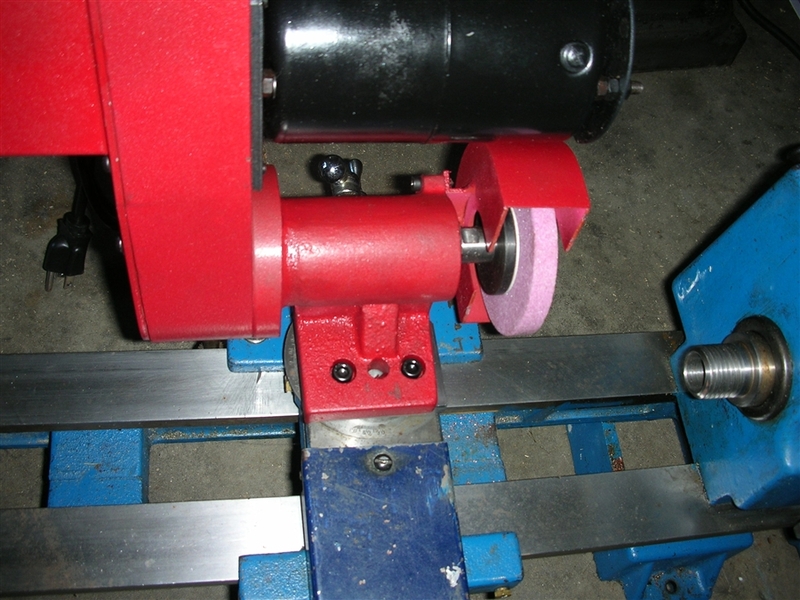 NEW FROM MYMACHINESHOP.NET DIRECT MOUNT TOOL POST GRINDER FOR ATLAS CRAFTSMAN 6 INCH LATHES. 100V AND 6000 RPM MOTOR. COMES WITH MANUAL, TOOLS AND EXTRA WHEEL. DIRECT MOUNT ON YOUR LOWER SWIVEL POST. SIMPLY REMOVE YOUR COMPOUND AND UPPER SWIVEL WITH THE 2 SQUARE HEAD CLAMP BOLTS AND REPLACE GRINDER ON THE SAME LOCATION USING YOUR EXISTING LOCK PINS. MOUNTED AS LOW AS POSSIBLE. 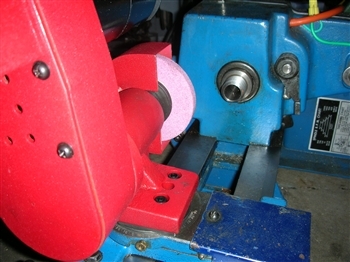 NOTE THAT WHEEL CENTER IS ABOVE THE SPINDLE CENTER. SHOULD NOT BE A PROBLEM FOR MOST APPLICATIONS. COMES WITH MANUAL, TOOLS AND EXTRA WHEEL.